*Willson Contreras would be the most third most vulnerable but he is on the DL. If anyone cares or is bored, the 54 stolen bases allowed by Miguel Montero is only 240 less than the MLB record set in 1895 of 293 steals against a catcher named Deacon McGuire… when stealing resulted in castration. The modern day record is Mike Piazza in 1996 with 155. Delino Deshields – The other Shields has been getting regular at-bats because the Rangers are in el Garbage time. Six steals in his last 15 games with an OBP of over .400 during that time. Making his daddy proud! Cameron Maybin – A scary proposition for SAGNOF-dom is playing time. Will he carve out a niche with the streaking Astros? Andrew Benintendi – Someone go tell prospect Hey-zeus that my homer bias thinks Benintendi is a glorified Brett Gardner. Just 10 years younger. Youth wins, but counting stats don’t always lie. And no I don’t think BG is better then AB, just go look at stats and next year when they are 100 picks apart you can go hmmmm. Jose Reyes – Running like it’s 1999. Four steals in last 12 games and scoring a ton of runs for the hapless Mets. Scott Alexander – Herrera is scheduled to miss a few days with injury woes, and Maurer looks like a misplaced Father searching for saves. Has the goods for a off chance save for Herrera. Blake Parker – Took Scioscia’s daughter out for chicken and waffles and looks to be the guy until he isn’t. Mark Melancon – Has an arm disorder that sounds like something he got at a Renaissance festival. More of a future good to know for draft time next year, but going to need surgery in the off season and cross his fingers going into next year. So.. I’m none too proud to admit it but I’m a first year reader and have really been hoping to learn what SAGNOF stands for. Right now I’m operating on ‘steals are great, no one’s friend’ since if you have a ton of steals nobody likes you, and if you do this much research you probably don’t have tons of friends anyway. Someone correct me please. Wow that list is a veritable gold mine, an entire term just for Jeff Keppinger even! Your acronym is decidedly better but I’m also not disappointed with what I came up with. Speaking of activersion, welcome back McCullers ._. 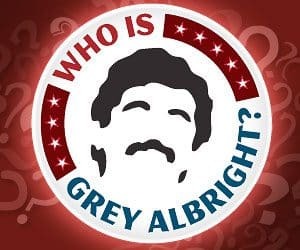 Hey Grey, excellent as always. League is QS, K/9, WHIP. ERA and I have about 5-6 moves left. looking at Woodruff and or/Bauer but there’s aslo the likes of Hendricks, slalazar, berrios, etc. Have you any preferences? am I overlooking any contributors?